Do you need extra help for EL students? Try the Triangle TimePre-lesson. 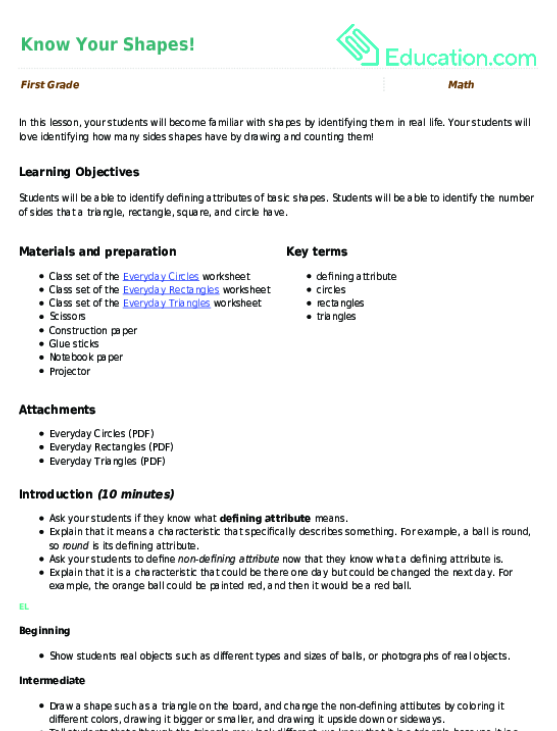 Students will be able to identify defining attributes of basic shapes. Students will be able to identify the number of sides that a triangle, rectangle, square, and circle have. Ask your students if they know what Defining attributeMeans. Explain that it means a characteristic that specifically describes something. 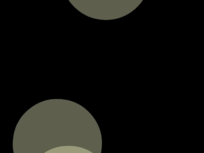 For example, a ball is round, so RoundIs its defining attribute. Ask your students to define Non-defining attributeNow that they know what a defining attribute is. Explain that it is a characteristic that could be there one day but could be changed the next day. 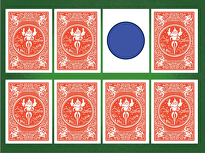 For example, the orange ball could be painted red, and then it would be a red ball. 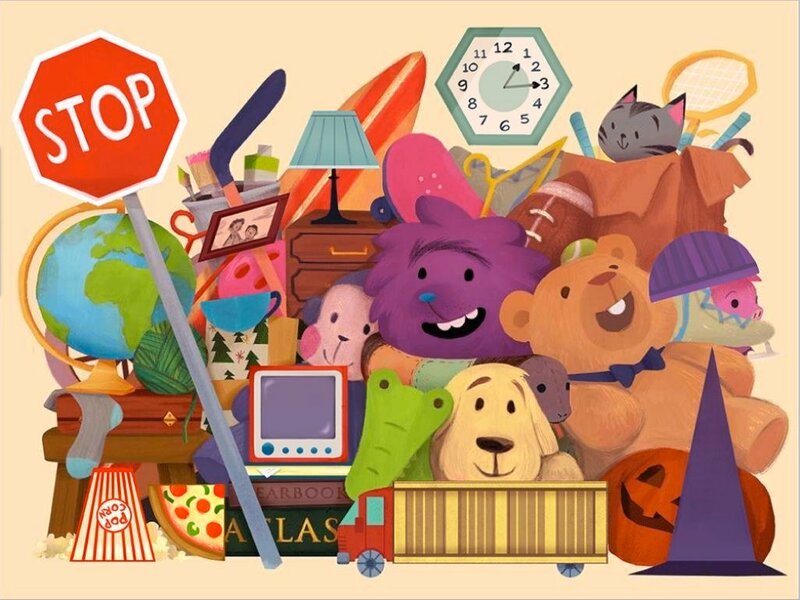 Show students real objects such as different types and sizes of balls, or photographs of real objects. Draw a shape such as a triangle on the board, and change the non-defining attibutes by coloring it different colors, drawing it bigger or smaller, and drawing it upside down or sideways. Tell students that although the triangle may look different, we know that it is a triangle because it is a flat, closed shapes with three staight sides and three corners. Tell your students that a defining attribute is always present. Ask students a defining attribute about them, such as being able to breathe. Ask students a non-defining attribute about them, such as size, since size changes. Draw 2 columns on the board. Write triangle, square, circle, and rectangle in the first column. Note that the defining attribute for these is the number of sides and being closed. Explain that closed shapes don't have any openings. Draw an example. Invite students to the board to write defining attributes of each shape. 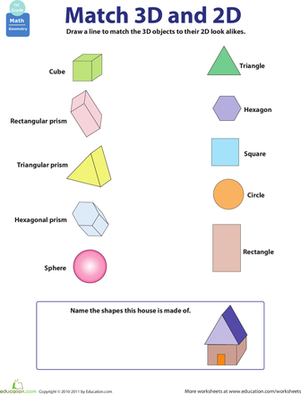 Ask students to identify some non-defining attributes of these shapes. Examples might include colour and size. Draw examples of closed and open shapes on the board. Tell students to give you a thumbs-up if the shapes are closed, and thumbs-down if the shapes are open. Instruct students to build a closed triangle with thier fingers by joining thumbs and index fingers while repeating after you, "closed shape." Have them seperate the index fingers and repeat after you, "open shape." Instruct students to complete the Everyday Circle worksheet. Explain that CirclesHave no sides and are closed. Complete the worsheet in a small group. Search the classroom for circle shapes such as the clock face. Do not make students write the word. Provide the sentence frame, "A ____Is shaped like a circle." Tell students to share one item that they found which is shaped like a circle using the sentence frame. Tell the class to give the student a thumbs-up if they also found the same object. 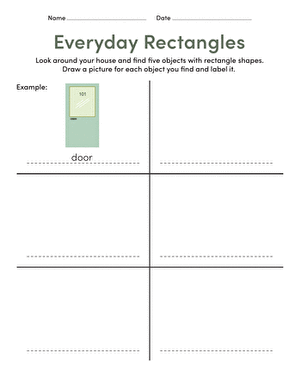 Direct your students to complete the Everyday Rectangles worksheet. Explain how items that are RectanglesHave 4 sides and are closed. 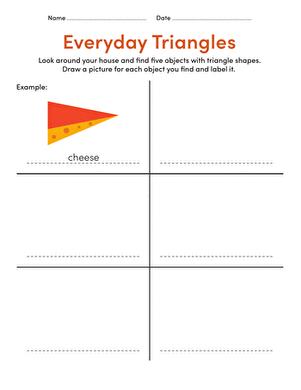 Give your students the Everyday Triangles worksheet to complete. Explain how TrianglesHave 3 sides and are closed. Tell students that rectangles and triangles both have corners. 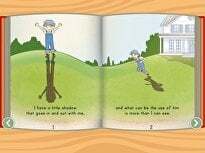 Have them create two straight lines with their arms, join thier fingers tips to create a corner while repeating, "corner." A ____Has _____, but a ____Has ____. A ____And a ____Both have ____. Pass out construction paper. 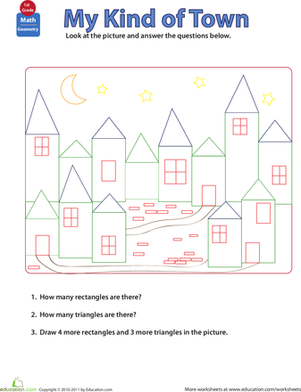 Instruct your students to cut out shapes and create three items made of shapes. For example, your students could make a house. Ask your students to paste their items on a sheet of paper. Cut out triangles, squares, circles, and rectangles for your students. Have students count and write the number of sides on the front of the picture and whether they are open or closed on the back. Have your students label a piece of paper from one to four. Direct them to answer questions about the shapes. For example, "How many sides does a triangle have? How many sides does a rectangle have?" Formatively assess the defining attibutes of shapes by saying, "Show me on your fingers how many sides/corners a ____Has." Teach them to respond by raising the corresponding number of fingers. Ask, "Which shape has three sides?" Teach students to respond as a whole class by building a triangle with their fingers. Switch roles, and tell Partner B to describe a shape for Partner A to guess. 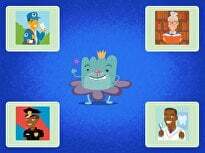 Watch The Shapes SongWith your students. Play the song a second time and pause to have students repeat the names of the shapes. 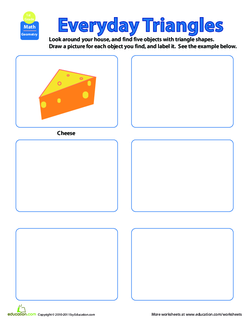 Create a chart with pictures, names and defining attributes of the shapes from the song to display in the classroom for reference. 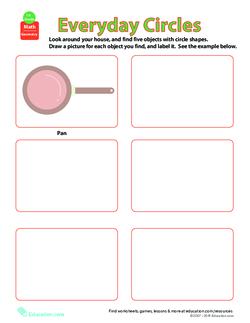 If your first grader is bored with shapes, make them fun again by combining paper and pencil shape practise with an energetic shape scavenger hunt. 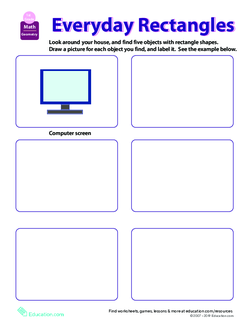 Here's a worksheet that injects some active fun into learning about shapes. Kids get to get up and search for things around the house shaped like rectangles. 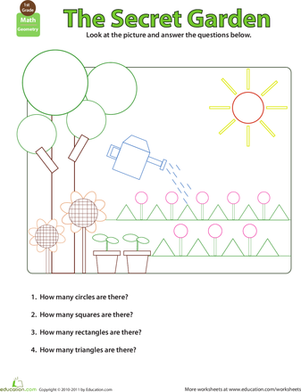 Here's a worksheet that shows kids how shapes can be found in real things by asking them to find and count all the different shapes in a picture of a garden. 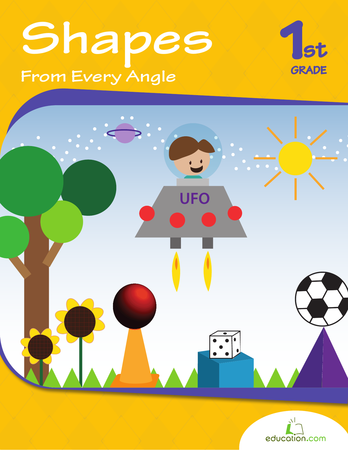 From 2D to 3D, polygons to prisms, your child will soon be a shape master. After a review of important terms and concepts, he will practise identifying real world shapes.